A collection of fun, positive, and uplifting things from a girl who loves happy endings and making people smile. 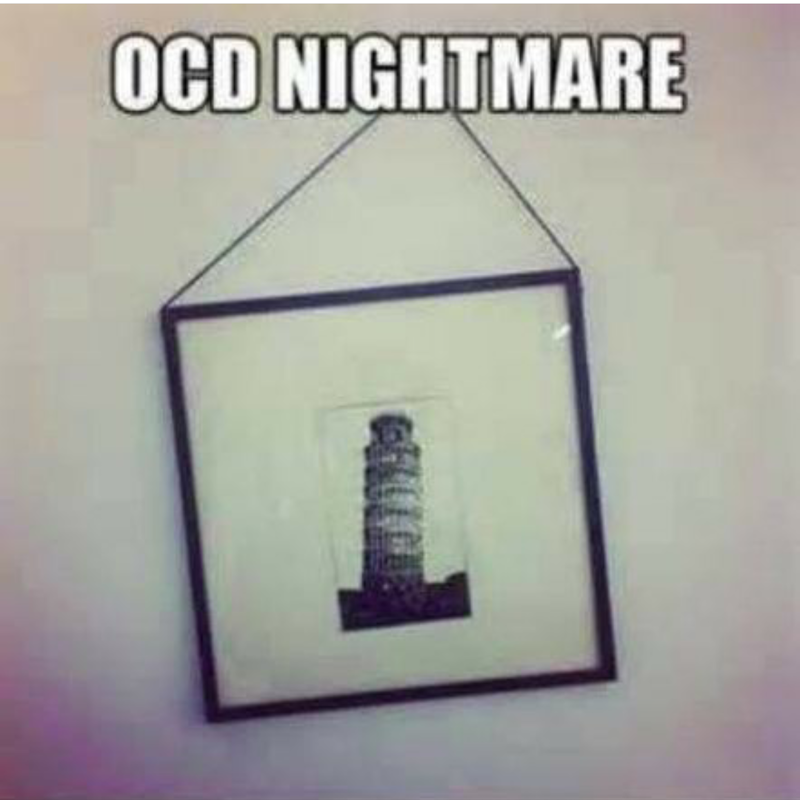 I HAD to laugh when I saw this. It’s sooooo me. I like things even. All things. I’m bothered if a painting or picture isn’t level. For the bridal party in our wedding, the ladies all had the same dress, same shoes, same jewelry, same bouquets. I never set my alarm on an odd number, nor do I like the thermostats in my house and car being odd numbers. I’m weird about some things, I know. But isn’t everyone?? As an ode to the seemingly endless amount of cray cray going on in the world – both good and notsogood – here’s Billy Currington’s “People Are Crazy”. Another message in the story of the song – sometimes the littlest things you do for people have a lasting impression and mean the most. BONUS – Billy Currington’s a cutie, isn’t he?? What brings you to Ohio? He said, “These damn things’ll kill me yet. You HAVE to check out the video below. Football player joins dance team during a game. And has some truly rockin’ moves 😀 Love, love, love it. Bravo, Mr. Football Player. Bravo. This is what band teacher Gina Christopherson told her student Ethan when he tried to quit the school’s band. She refused to accept that and worked to find a way for Ethan to continue participating in his favorite school activity. Read the USA Today story here and check out the YouTube video below. Wednesday Words! I saw this on Pinterest recently, and it made me reflect on all of the relationships I have in my life. I think this appropriate for any number of relationships – significant others, friends, family members, colleagues…people who have been around since you were born, those you grew up with, newer people you meet as you cross into major life changes like going to college, first jobs, etc. People will always come and go in your life. Some stay for a long time – even for a lifetime – while others will be around only for a few days, months, years. People evolve as life evolves. Change happens. 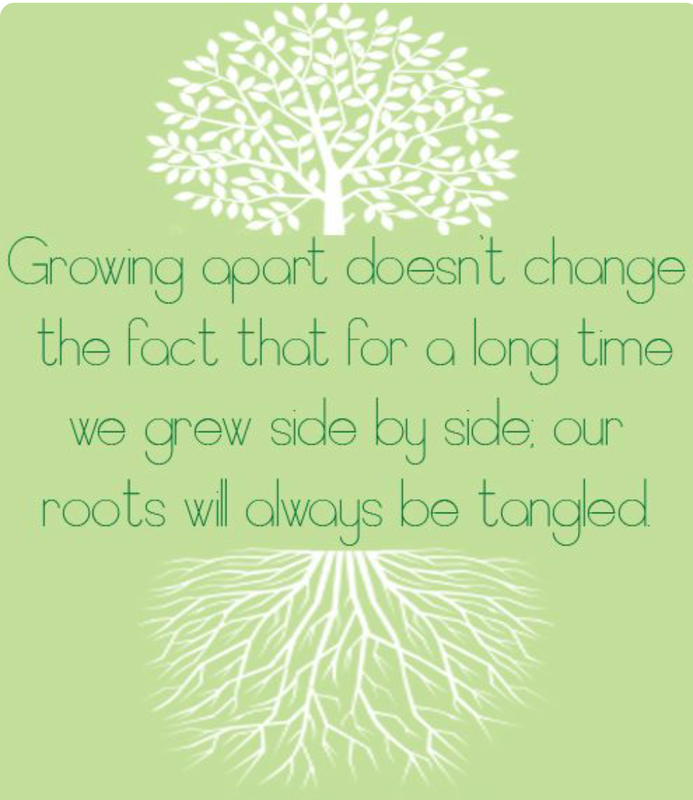 Growing apart happens. It’s completely natural. To quote my mom, “c’est la vie”. Translation? That’s life. Those who are meant to stay in your circle as someone you have a close bond with will, and others will fade. It happens. The sooner you accept it, the better. Otherwise you’ll be sad and frustrated…tired of hearing the word ‘no’ when trying to make plans and almost feeling a twinge of rejection…wondering often ‘what in the world has happened to us’…and thinking ‘how much longer should I even try?’ This mindset isn’t good. Been there, done that, and realized it wasn’t accomplishing anything. Instead, cherish the memories, fun stories, and good times with those folks who are fading or are gone, and SMILE. Relationships can’t be forced, no matter how long or how hard you try. Wednesday Words, courtesy of Cleveland Brown’s cornerback Joe Haden. Haden is a Special Olympics Global Ambassador, the first NFL player to have such an honor. I first heard the story of Joe and his brother Jacob a few weeks ago when I caught an interview on ESPN during coverage of the Special Olympics World Games. Their story is a powerful one, and I encourage everyone to check out the interview in the clip above in addition to reading the article. The R-word hurts because it is exclusive. It’s offensive. It’s derogatory. Our campaign asks people to pledge to stop saying the R-word as a starting point toward creating more accepting attitudes and communities for all people. Language affects attitudes and attitudes affect actions. Pledge today to use respectful, people-first language. I love this campaign and made my pledge the moment I heard about it. Will you consider doing the same? If you didn’t have a chance to check out the TV coverage on ESPN about the Special Olympics World Games, there are TONS of awesome stories about the athletes online. I personally can’t wait for the next World Games in 2017! Enter your email address to follow this blog and receive notifications of new posts directly to your email inbox!